Events are taking place across the region as Yorkshire marks its annual day. 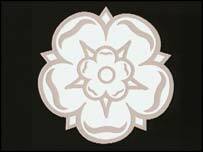 Since 1975, 1 August has been designated Yorkshire Day to celebrate the heritage and identity of the region. This year it comes two months after it was announced that a referendum will be held on whether to set up a Yorkshire and Humber assembly. It is also the day that winners of the BBC's Heart of Yorkshire awards will be announced in Harrogate. The annual white rose county day was started by the Yorkshire Ridings Society in 1975 following a shake-up of local government. Yorkshire Day is a welcome opportunity for Yorkshire people to show their intense pride in the county. There was concern that the abolition of the Ridings as administrative areas would cause the original identity of Yorkshire to be lost. Organisers chose 1 August because it was on that day in 1759 that soldiers from Yorkshire regiments picked white roses to lie alongside fallen comrades on the battlefield of Minden in Germany. 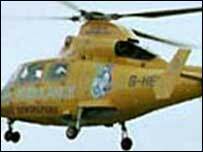 This year the day is being celebrated across the region with money being raised for the Yorkshire Air Ambulance. Among the events is a "flyathon" at venues across the region, including Huddersfield, York, and Wakefield, with a special Amy Johnson trophy for the county's top paper plane pilot. A civic procession of the county's mayors is taking place in Halifax at 1015 BST which will be followed by a service of celebration. Readings of the traditional "Declaration of Integrity" will be made in York, and towns and cities throughout Yorkshire between 1100 and 1200 BST. A spokesman for the Yorkshire Day Information Office, organisers of the celebrations, said: "Yorkshire has a population of around five million - as many as Scotland, Denmark, and twice as many people as in Wales. "Regardless of the political future of the county, Yorkshire Day is a welcome opportunity for Yorkshire people to show their intense pride in the county." Supporters of the proposed new assembly for the region say the county day should also stimulate a debate on the political future of the area. Jane Thomas, director of the Campaign for Yorkshire, said: "Yorkshire Day demonstrates both the success and the challenge facing people about their Yorkshire identity." A referendum is due to be held on the plans in Autumn 2004. Will regional assemblies get the vote?